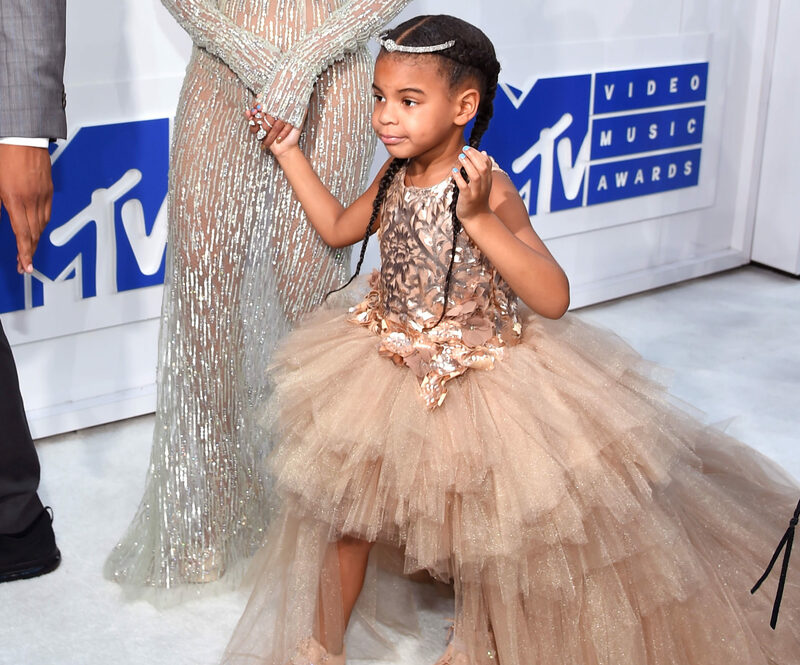 It is absolutely undeniable that Beyoncé and Blue Ivy looked like literal angels at the VMAs yesterday, and the ridiculously stylish little one rocked a piece that had our fashion-loving hearts oh so happy. 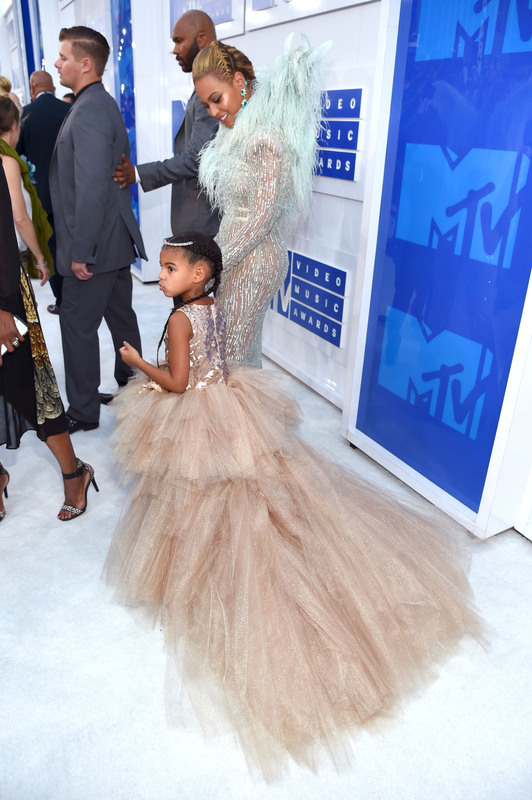 Blue Ivy’s dress was designed by Mischka Aoki, and OMG, it’s beautiful. So much glitz, so much tulle, so much perfection. MAJOR heart eyes happening over here right now. It also costs a pretty penny, as it goes for a major $10,950 price tag at Bergdorf Goodman. One hand, HOLY CRAP. 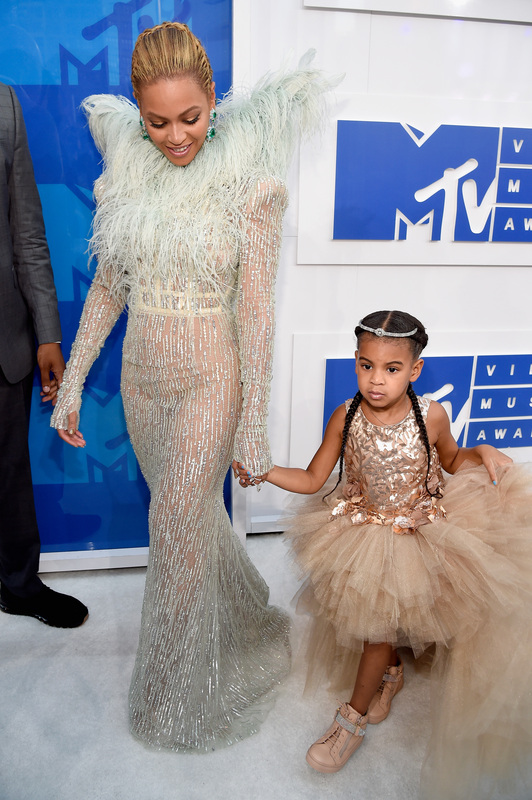 But on the other, we can imagine mom’s dress by Francesco Scognamiglio didn’t come cheap, and we can’t imagine a world in which Queen Bey doesn’t want to bless her sweet little one with the ~magic~ of something princess-like to show her a little love. We’re wondering if people would judge the splurge so harshly if it wasn’t being rocked by Blue Ivy, as she’s dealt with a pretty horrifying amount of racist misogyny considering how young she is. Maybe we should give her a break and just celebrate how ADORABLE, and talented, she is! 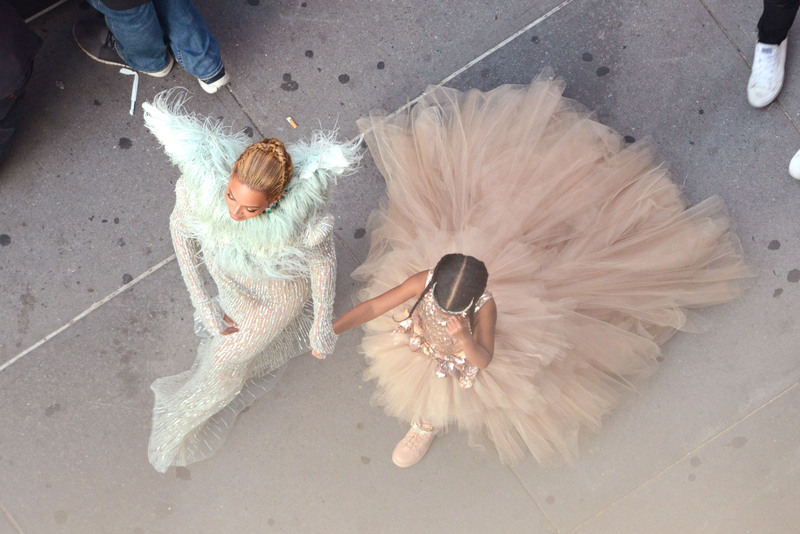 Blue Ivy’s dress paired perfectly with mom’s sparkling gown, and they looked like actual goddesses. There’s simply *no* way they’re human! They continue to inspire us to be better, and definitely to dress better.